The Exponential Health Program is a highly-personalized program that will help you achieve lasting results without strict restrictions of the foods or activities that you love most. 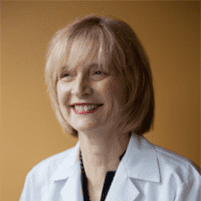 Our team of physicians and highly-qualified health professionals consider your unique biology, genetics and current health status to create a simple and fun step-by-step plan to reach your goals. What is the Exponential Health Program? 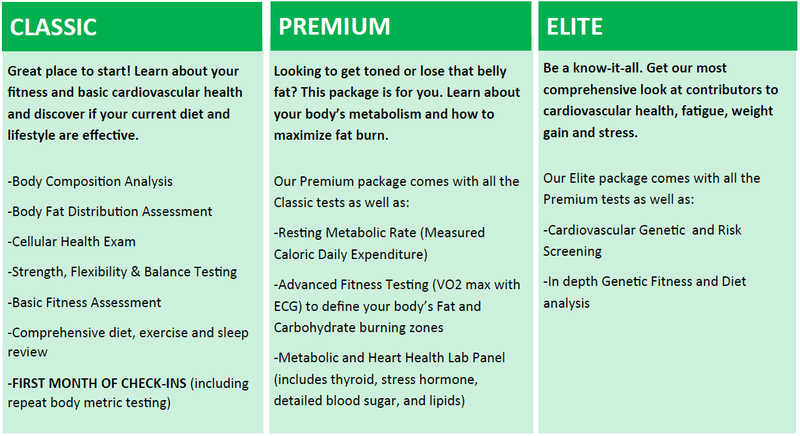 The Exponential Health Program is grounded in scientifically proven techniques to help you achieve your health, diet, exercise and lifestyle goals based on your unique biological makeup that we can assess in our office. Our program is designed to scientifically and precisely measure your nutrition, exercise, and mental outlook on life to help you live a strong, disease free life at your fullest potential. Whether you are looking to lose weight, tone your body, decrease your cholesterol, train for an event or reduce your stress, our team of health and lifestyle coaches have a wide range of professional expertise to help you achieve your goals. Our program is intended to fit into your lifestyle and to teach you how to be smart about your choices instead of to restricting yourself. Our program starts with a thorough assessment of your current lifestyle, fitness and health. Our team of physicians, and professionals trained in exercise physiology and nutrition then analyze your results to craft and deliver a highly personalized plan. Every week, your program will focus on a different area of wellness through education and actionable lifestyle changes, providing you with the tools for a lifetime of health and disease prevention. You will focus on all aspects of a healthy lifestyle, from sleep and stress, to diet and exercise, and more in order to optimize your health. We pride ourselves in measuring your most important health metrics, from your cardiovascular genetics to select hormone levels, to provide you with the most personalized plan on the market. We focus on gradually implementing simple habit changes over the course of the program to maximize your chances of success. We aspire to identify the root cause of the issues that stand in the way of reaching your health goals and living a disease-free life instead of simply focusing on the behavioral outcomes. Beyond diet and exercise, we create a more holistic picture of your health by including your physical and mental well-being as well. Our program makes the journey to a healthier you fun and enlightening. Every week, you will implement new changes and continue only the ones that work best for you. How does it work? What are the different assessment packages? The program starts with a thorough health and fitness assessment to set your baseline. We know that a data driven approach to your health is the key to maximizing the improvements. The amount of data we collect on you depends on the assessment package you select. The more data we can gather, the more personalized and comprehensive your plan will be. Please see below to explore our assessment packages. Come to meet your coach at our office, conveniently located in downtown Seattle, and complete your health and fitness assessment. This typically takes about 2 hours. During your follow-up meeting, your coach will walk you through your results, explaining each metric in great detail to help you understand the components of a healthy disease-free life, and then work with you to set realistic, personal and achievable goals, that you are invested in. At the end of the meeting, you will leave with an actionable plan that will focus on one simple lifestyle change at a time. Your coach is alongside you the whole way making the health habits approachable and fun and modifying the plan as needed to maximize success and continued participation. Every week, you will connect with your coach to measure the impact of the lifestyle changes using tools such as fitness wearables and relevant applications, and discuss how the last week went. These sessions are highly-personalized and include a comprehensive review of all aspects of your health. Check-ins can be conducted in person at our offices or by phone. This program is not about short-term fixes. Optimizing your health is a journey, we track your key health metrics along the way and use this scientific data to further improve your plan. Every 4 weeks, we will invite you back into our office to conduct an in depth progress evaluation, including body composition and measurements, cellular health and cardiovascular fitness. At the end of the 16-weeks, you will have the opportunity to re-do your assessment to directly measure your progress compared to your baseline testing. How is the Exponential Health Program different? Put simply, the Exponential Health Program meets you where you are now to optimize your health, safely, effectively, while also understanding your lifestyle and time constraints. It relies on medically supervised guidance in exercise, nutrition, and stress management. The program provides you with the tools you need to train efficiently, lose weight, prevent injury, and manage any chronic health conditions. This method is not something you’ll find at your local gym — the medical support and supervision can identify any underlying health issues. Our exercise and nutrition prescriptions can be tailored to address any current condition or obstacle. Your coach understands life provides many obstacles whether it be time, health, temptations, etc. We are equipped to help you handle and overcome those obstacles and to put you in the best position to live a disease free healthy life. What are our clients saying about the program?